Don’t let fear keep you from achieving! When life gets hard, this is the worst thing you could do! You never deserve to just “settle” for anything! We need strength, beauty, and confidence in this world! We need to actively try to minimize our stress as much as possible! A little bit about those yoga selfies. This is so wonderful! I love his motto. Never throw away perfectly good produce! One of the greatest foods on this Earth! No more endless snacks on demand! + What’s The Difference Between A Crock-Pot And A Slow Cooker? I can’t wait to get home….and fix the mess I know will be THE KITCHEN! There’s some things you should NEVER use past the date and others when it’s more of a quality thing. Well at least someone is doing it right! Great stuff here for IBS awareness month! I’m linking a few posts on this topic because, YES! Something that is talked about so much, but do we actually do it? These are the things that make us connect! Same goes with this. We connect through struggles and wants too! Good stuff! Helped me clear up a few terms! Buzzfeed is nailing it with these “flashback” kid lists! 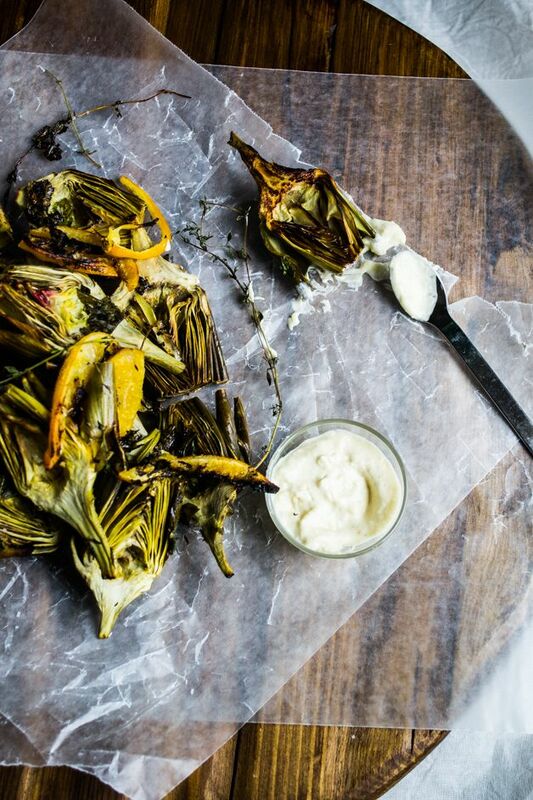 Roasted Baby Artichokes with Herbed Meyer Lemon Oil. These just had me craving artichokes! Vegan Multigrain Carrot Muffins. 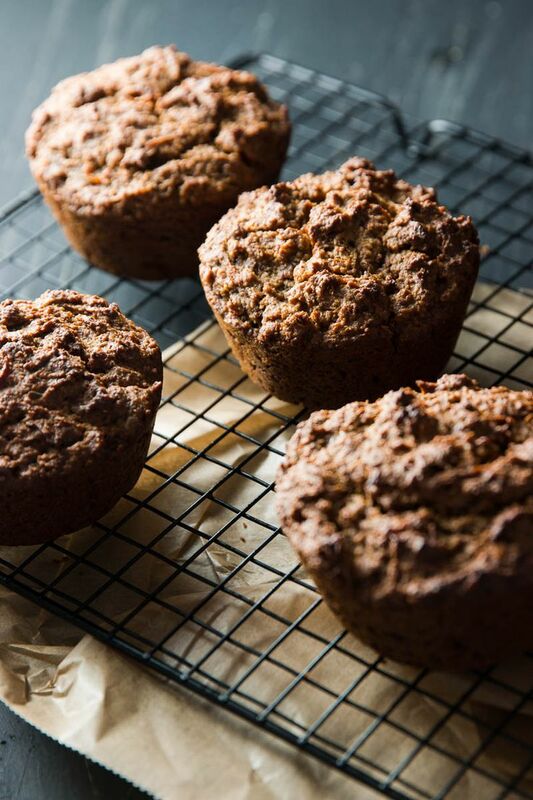 Who doesn’t want a nice warm healthy muffin in the morning? 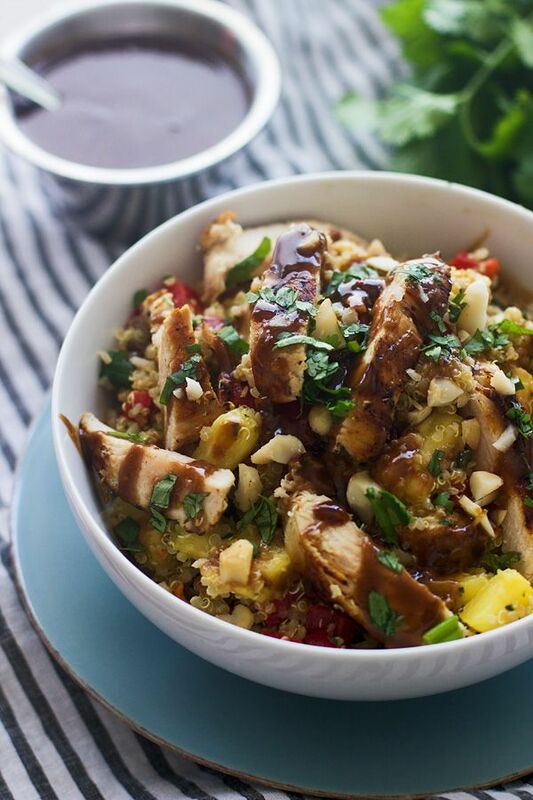 Hawaiian Quinoa Bowls with Cilantro Honey Vinaigrette and Spicy Peanut Sauce. Can you even add anymore flavor!? 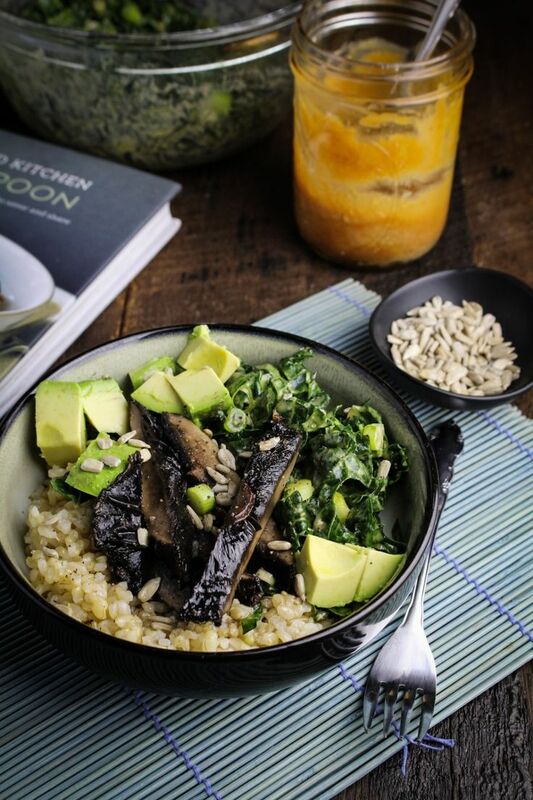 Tahini Kale Slaw and Roasted Tamari Portobello Bowl. Well this just sounds lovely! 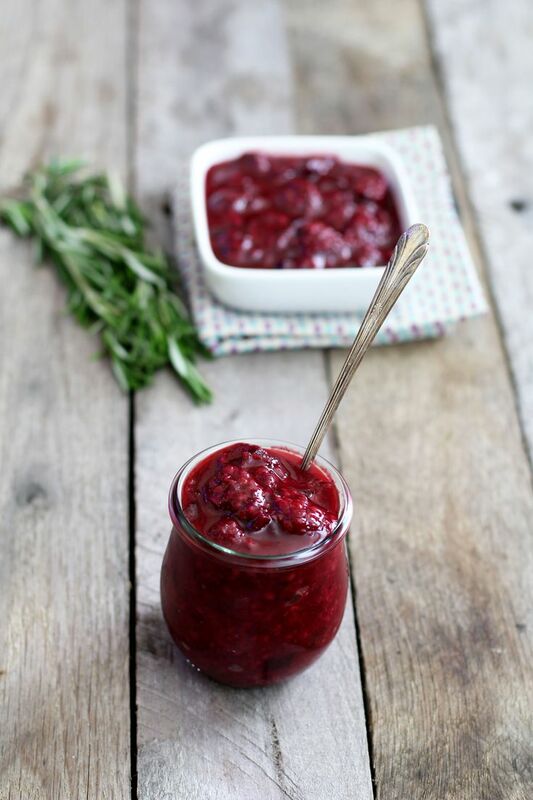 Blackberry Chutney. Have you ever made chutney? I have not…but I must! 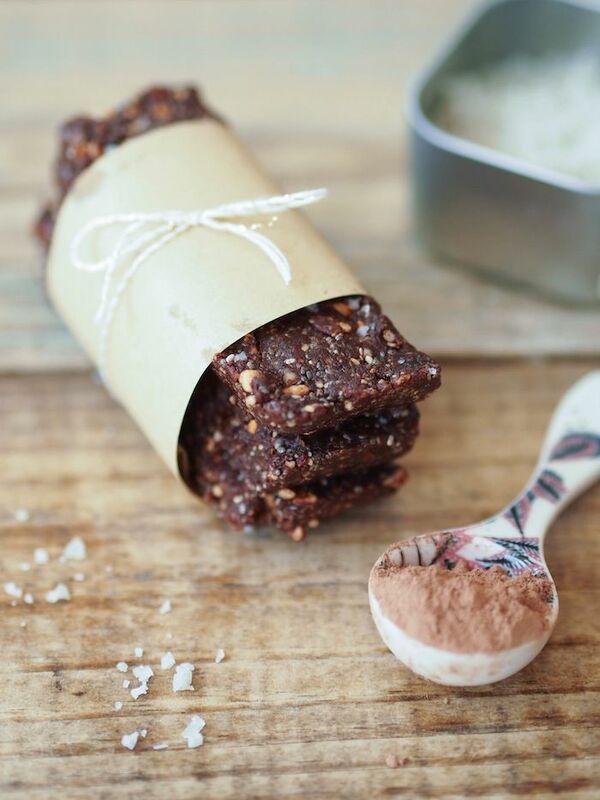 Hazelnut Chia Seed Bars with Sea Salt. These look so perfect! 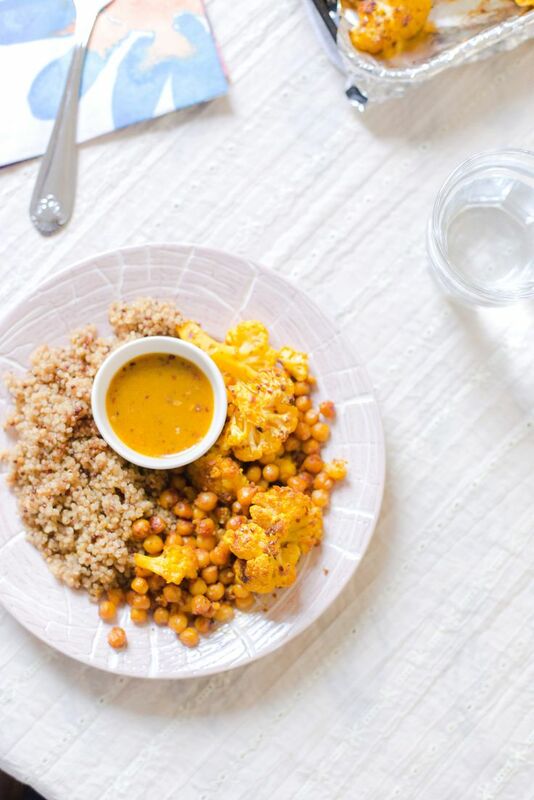 Turmeric Roasted Cauliflower, Chickpeas, and Quinoa. All those words just make me drool! 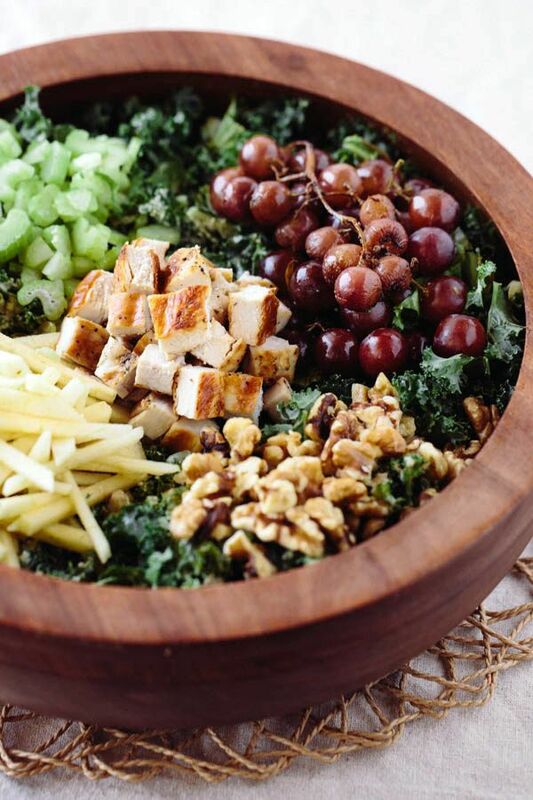 Kale Waldorf Chicken Salad with Cashew and Avocado “Mayo”. This just sounds really good! 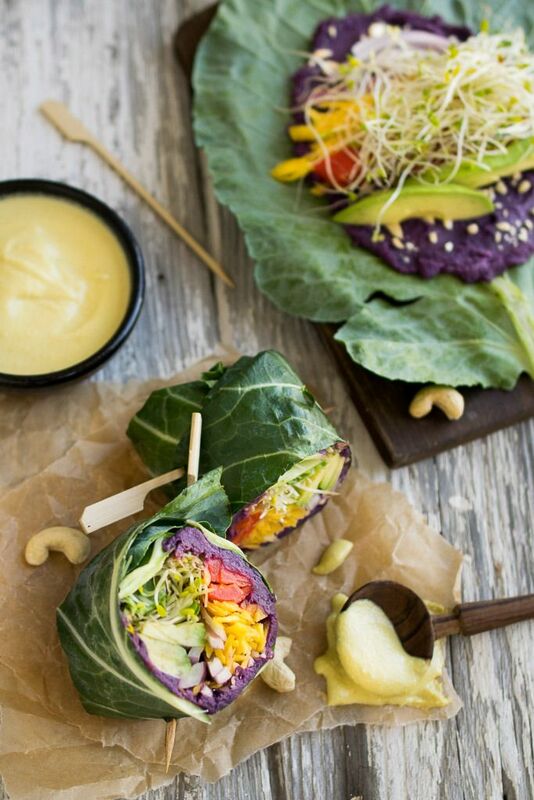 Purple Sweet Potato Collard Wraps with Cashew Honey Mustard. I have no words for this beauty! 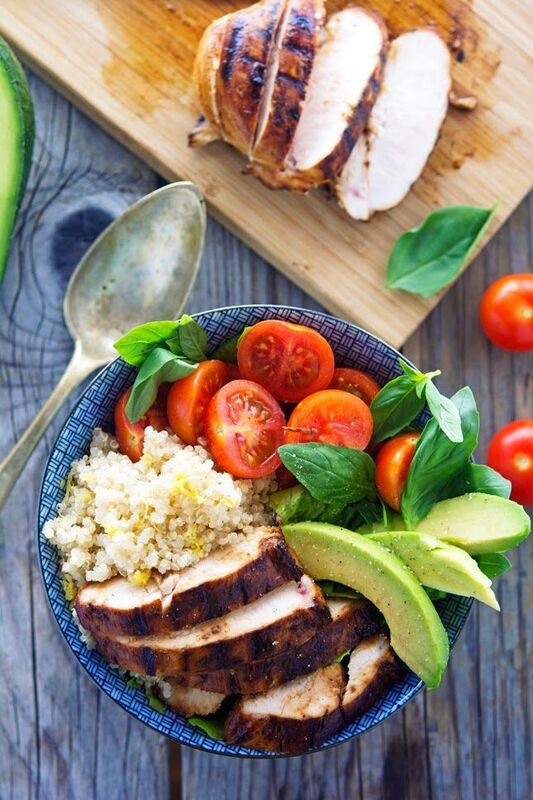 Key West Chicken Bowls with Lemon Quinoa. Yes, I will make this for dinner! 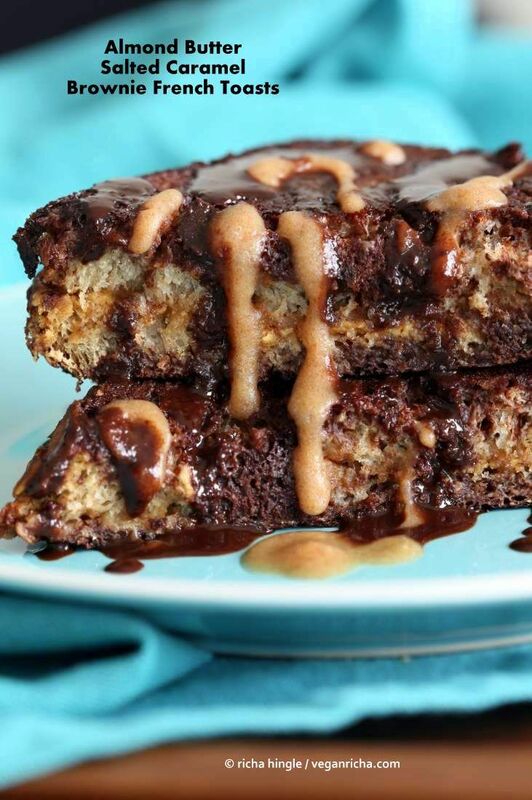 Almond Butter Salted Caramel Brownie French Toasts. Um…what!? 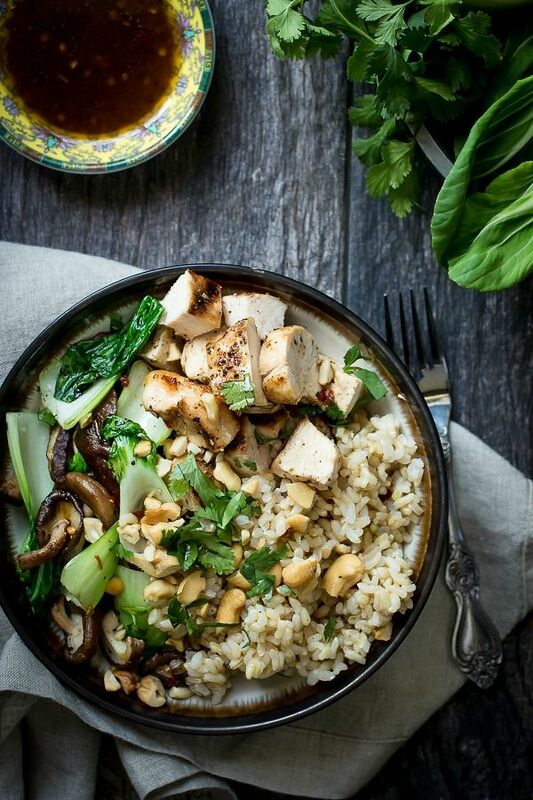 Grilled Chicken Rice Bowls with Bok Choy. I do love my bok choy! 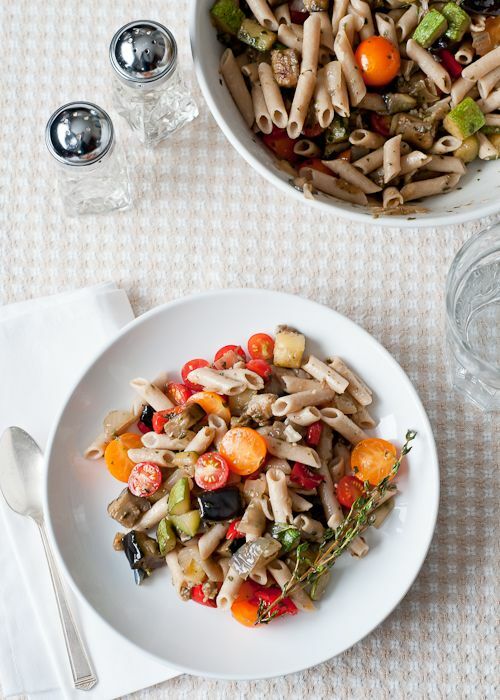 Gluten-Free Ratatouille Pasta. Just a nice little dish! + I still haven’t finished that schedule for next year, but I’m waiting for the public health classes to open on the 16th. But I did get an email about a 2 credit ACE personal trainer class! You can sign up, get credit, and prepare to take the exam. Seems like I may just be interested! + The best thing you ate this week? + What TV series are you currently in to? I finally succumbed to social norms and decided to start (slowly) watching Breaking Bad on Netflix. I’m only about 5 episodes in, but so far so good! Thanks for sharing your lovely round up at the Inspiration Spotlight Party! Pinned & shared hope to see you again this week! The party is open for entries. I love your Friday Finisher feature. It’s so motivating. Sign me up for those Almond Butter Salted Caramel Brownie French Toasts! I was drooling as soon as I saw the picture. What a great round up of posts this week! Thank you for sharing at Merry Monday! 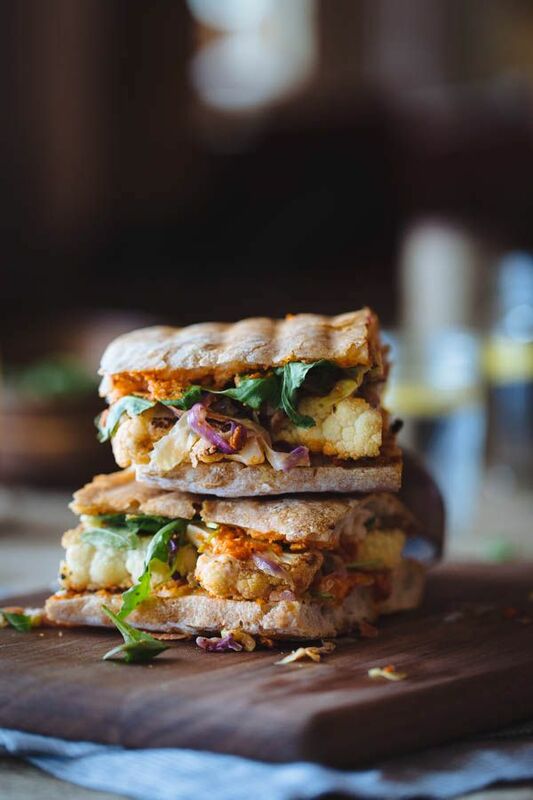 I always love your round-up of social media tips oh and those recipes! 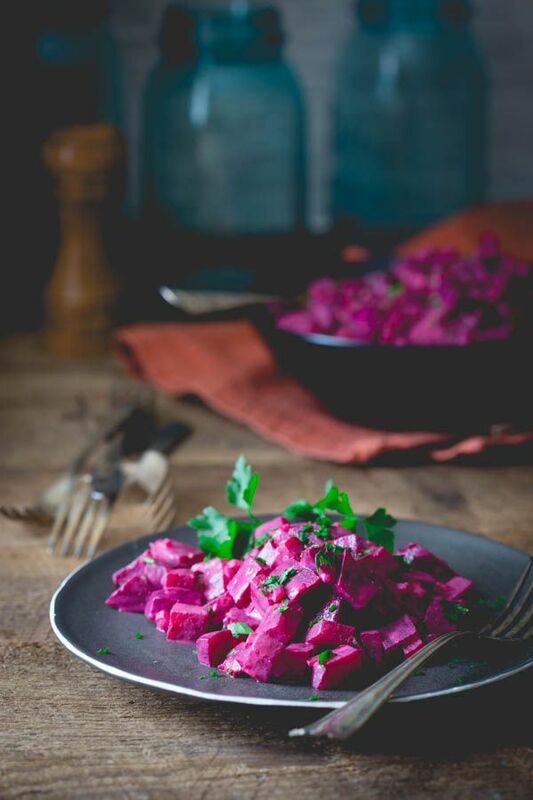 I can’t wait to have fresh beets growing in my garden so I can try those beets with tahini! Beets are the best 😉 Jealous of your fresh ones! I’ve been guilty of buying into the Food Babe’s hype (sorry Starbucks), but then I had a conversation with a chemist who had no hidden agenda and he set me straight. Since then I’ve paid more attention to what she’s doing and I have to say, she runs on hysteria. Loved all of the links Rebecca. Thanks! I totally have everything for the bok choy chicken bowls… making them tonight for lunch this week… such a good find! I loved reading about all the benefits of cashews! Those are probably my favorite kind of nuts, but it seems like almonds always get all the credit for being healthy. I know what I’ll be buying on my next grocery trip! Cashews aren’t just my favorite nut, but one of my top 3 favorite foods! Can’t live without them! Great collection! I will now lose the next few hours to reading about the crazy obnoxious Food Babe! Seriously, this is a wonderful collection of articles and of course food. Here’s to the end of a week and the bright future of an amazing new one Rebecca! As always I adore your Friday finishers. Wishing you a great weekend and much light from a newly warmed up New Jersey! Ah! Happy weekend to you too! The sun is shining out here at least! Girrrrl these recipes!! Each week you’re just killing me…with temptation! 🙂 I’m loving how many quinoa ones you’ve featured this week – so yum! So many great links here! Many that I’ve missed so can’t wait to check them out. And those food photos! I’m starving now and I want to make all of it. What I love about your Friday Finishers is that you link to blogs I have never even heard of. It’s so refreshing and allows me to explore a more wider range of views, recipes, etc. Thank you friend! I really do try to get a little of everything and showcase things NOT from the big bloggers! Wow! So many great links and posts I want to read here! And, so much deliciousness too 🙂 Thanks so much for sharing my IBS post!! BTW-I finished Breaking Bad last year-it kept me awake may a night! Currently watching 3rd season of House of Cards. Oh, those politicians are so bad!!! I have to say, the artichoke picture made me stop and do a double take… It makes me want to try and tackle cooking with it. I’ve always been so intimidated by it, but that just looks incredible. I was a little worried the first time, but got over it quick….they are so delicious! So many great reads – thanks for sharing! 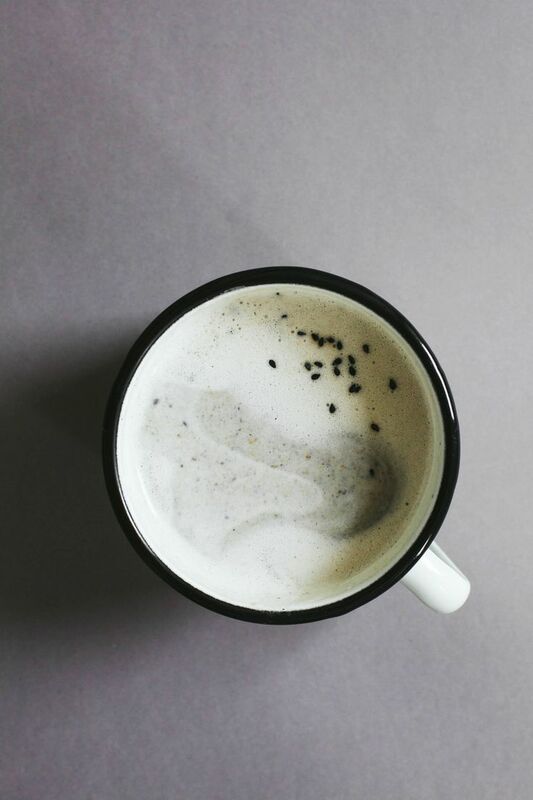 Can’t wait to snuggle up with some tea and reaaaaad <3 Happy Friday! Breaking Bad is awesome! It will not disappoint. I loved all the stuff about the Food Babe too bc I love science haha. This is such a crazy long list and I’ll have to go back to make sure I didn’t miss anything. Thanks for including me! It is good! I’m picky about TV shows, so it is a win! That is a gigantic list! I checked out some, but it will take time to go through them all. So cool you put this all together! Kudos. It is one amazing wrap! PSPs are my favorite food! Just safe it for later 😉 Never wish for rain 😉 Haha! *was not were….haven’t had enough coffee. I had one awesome meal this week. It wasn’t the healthiest, but it tasted like what I imagine winning the lottery feels like! It was at a Cuban restaurant in Orange County (work business trip): skirt steak with chimichurri sauce and grilled onions, brown rice, and grilled chili lime corn on the cob….that corn tho! Hahahaha! Omg…..I am obsessed with corn right now! I had a cob earlier in the week! So good! You have distracted me more than usual today. I’m going to just stalk your pinterest board from now on mmmmk? Holy lord that all looks way too good for words. And now that I have 50 browser tabs open, I’ll call your Friday finisher a success! You should stalk them because…I have over 35000 pins and can never share them all here! I just don’t like the word Crock Pot to begin with. I only ever say slow cooker, haha! Makeup is fun! I grew up with it (and lots of it! ), but now I don’t really wear it, just another hassle I feel. But I don’t have a problem with it either! It’s still and always will be fun! Oh man.. What a wonderful list. Lot’s of good reading. Thank you so much for including some of my recipes. Ah, yes! It really had so much to do with perception and mindset! It is important! I love them too! I’m so glad you posted all those anti Food Babe links. She’s been doing my head in and I feel like FINALLY she’s being called out on her dangerous dimwhitted ideas. I hope she gets shut-down! Hahaha! Let’s start a movement! Yea! And I can’t be kind to stupidity on the internet! There is just too much of it to ignore! Haha! That article on The Food Babe was something kind of awesome! Omg…Lost was my favorite show of all time! I was SOOOOO sad when it ended! It was just so amazing! I haven’t found one positive article about her in all this! Haha! Current favorite show: The Blacklist! The best thing I ate this week: almond crusted chicken tenders. Sorry you aren’t looking forward to the weekend. Hope the weather turns around! Actually no, I think I need this weekend…but I did NOT need this week! Haha! You don’t. And with all this stuff going on now, she is getting so much attention…defeats the whole purpose of ignoring her stupidity! I loved Vicki’s post on why you shouldn’t settle! I’d never heard about Food Babe until I read Gigi’s post on trying to interview her, and in light of all this recent stuff..holy eff, that lady has issues. Emily’s response is perfect, and I’m also totally with you on the crazy overuse of “cleanse” and ‘detox.” ._. Cannotttt stand it. She is a psycho! Just like fake “Hannah Montana” fame (as I like to call these things). She has no credibility what-so-ever and gives REAL bloggers a bad name. People are so stupid. I have nothing good to say to someone who believes in cleanses and detoxes! Agreed. :[ The only detox I believe in = drug/alcohol detox for patients who are addicted to one/both. You always do such a great job of curating health-related content in these weekly posts! My currently tv series that’s coming up on the end of the season pretty soon is Once Upon a Time…I probably love it a little too much. Haha, I think I’ve heard of that one!